ANY COLOUR AS LONG AS IT’S POPPY RED OR LEAF GREEN….. OR WHITE. It was sometime in the autumn of 1972 when I caught my first sight of it. Arriving at Victoria Coach Station on a Southdown express coach from Crawley and seeing all the other coaches in their various operator liveries one vehicle in particular caught my eye. It was painted white all over with the word NATIONAL in red and blue with a double ‘N’ insignia formed like an arrow along the sides and much smaller ‘Midland Red’ fleetnames above the front wheel arches. 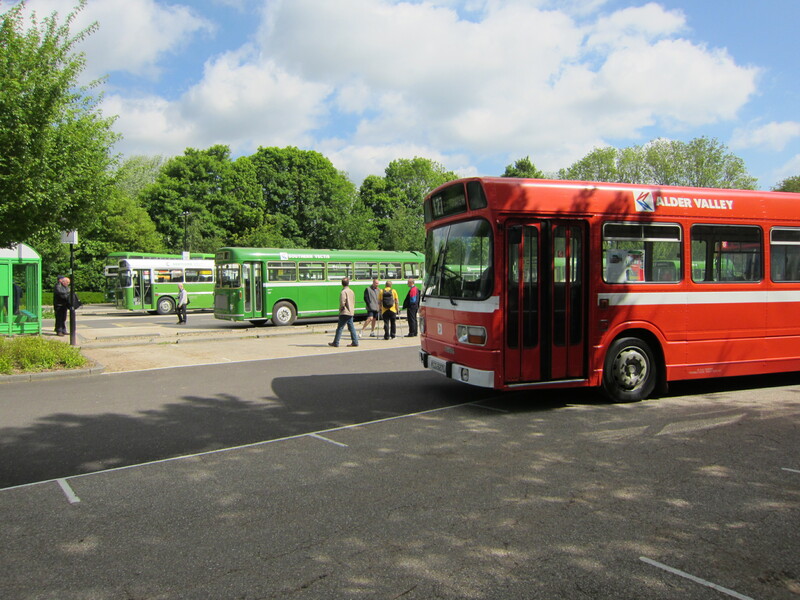 A couple more turned up from various other companies and it slowly dawned on me what was actually happening and I have to confess that unlike many other bus observers at the time, rather than being horrified I actually had positive feelings about this. I remember having those same positive feelings when for the first time I saw a London Country SM newly adorned in the National Bus Company’s corporate leaf green. 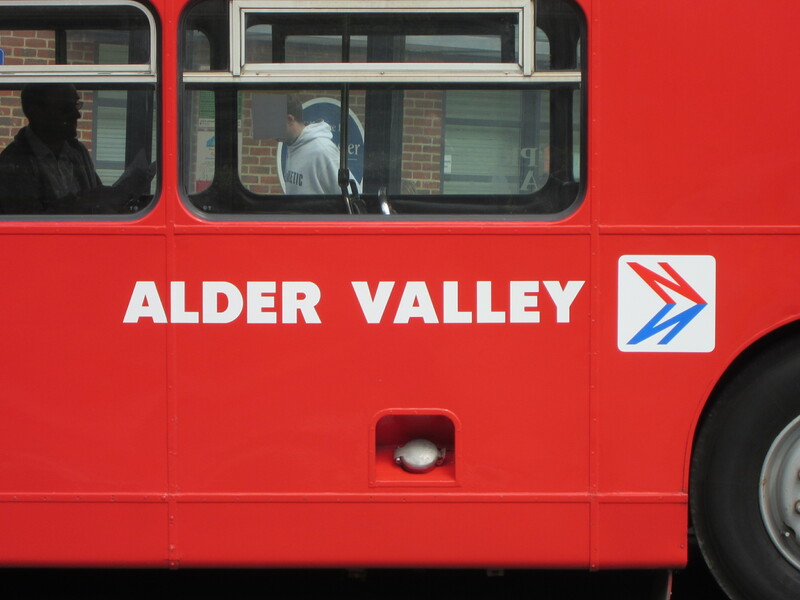 Given that we all knew that the inherited London Transport image would soon fade away and that the London Country livery hadn’t really had time to settle in (similarly with the short lived Alder Valley maroon), the NBC colours looked quite smart. Around that time there was a TV commercial showing vehicles from all the NBC fleets parading around an airstrip in their new colours, it all looked rather impressive. The policy was simple, poppy red for the ‘red’ companies (e.g East Kent, Ribble) and leaf green for the ‘green’ companies (e.g London Country, Eastern National). There was also a blue variant for the few companies using that colour but sadly this was short lived. Dual-purpose vehicles (i.e bus bodies with coach seating) were painted white from the waist up, while coaches were all-over white. Yes, of course it had occurred to me that we were losing the handsome colours of the neighbouring Southdown and Maidstone And District fleets but, hey, this was 1972, time for change! The stumbling point for the new look was that it rarely suited the variety of older vehicles being operated by the component companies of the NBC. 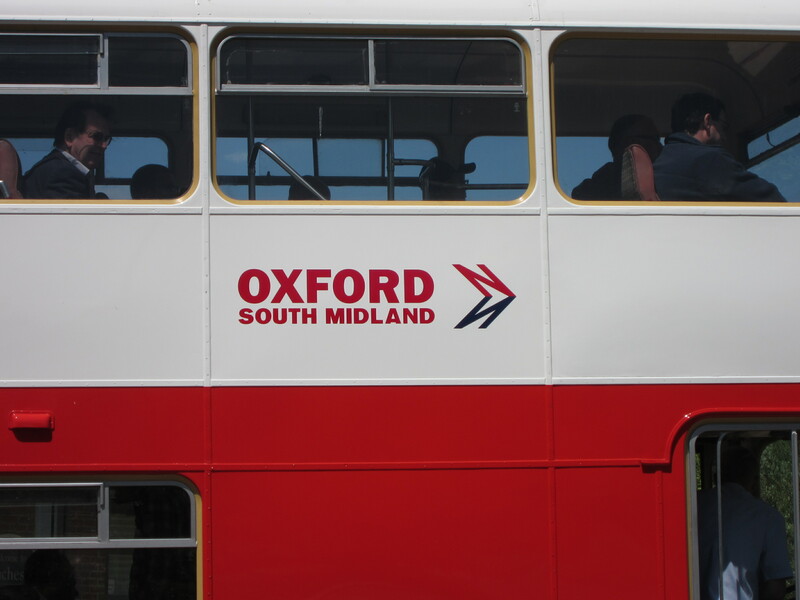 Southdown’s ‘Queen Mary’ PD3s took on a rather drab look, while many single deckers found themselves without any form of the white relief that had been applied to the double deckers. Ironically the London Country RTs looked fine when they received it in 1977. On newer buses the change of colours was not so painful, many carried it rather well, while NBC’s new standard single decker, the equally loathed and loved Leyland National had the advantage of rarely having worn anything else, similarly the case with the Bristol VRT as the chosen standard double decker. The individual liveries of the component companies had largely vanished by the mid-seventies leaving what was in my opinion a rather neat and unified look. 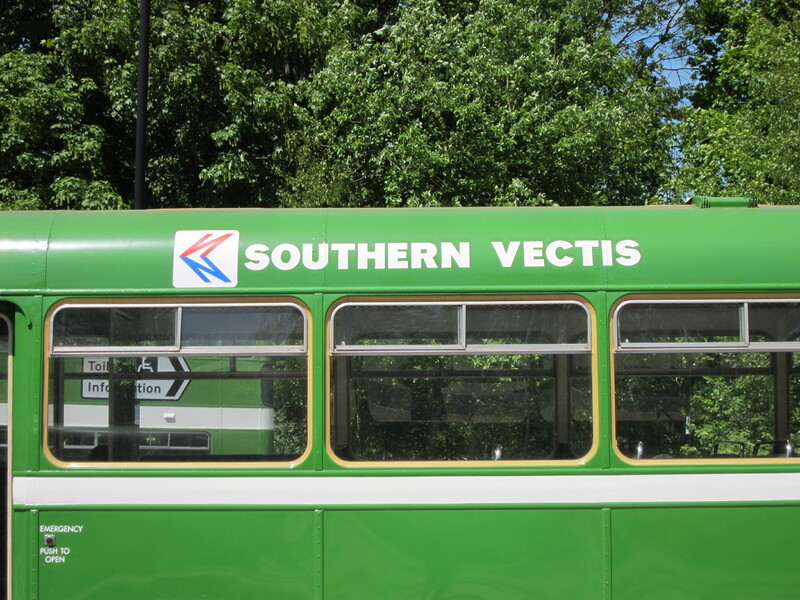 True, at first glance a Maidstone and District Leyland National in Tunbridge Wells looked indistinguishable from the Southdown one parked behind it, but while the colours may have been the same, details such as the style of lettering on destination blinds and internal publicity differed from one company to another. 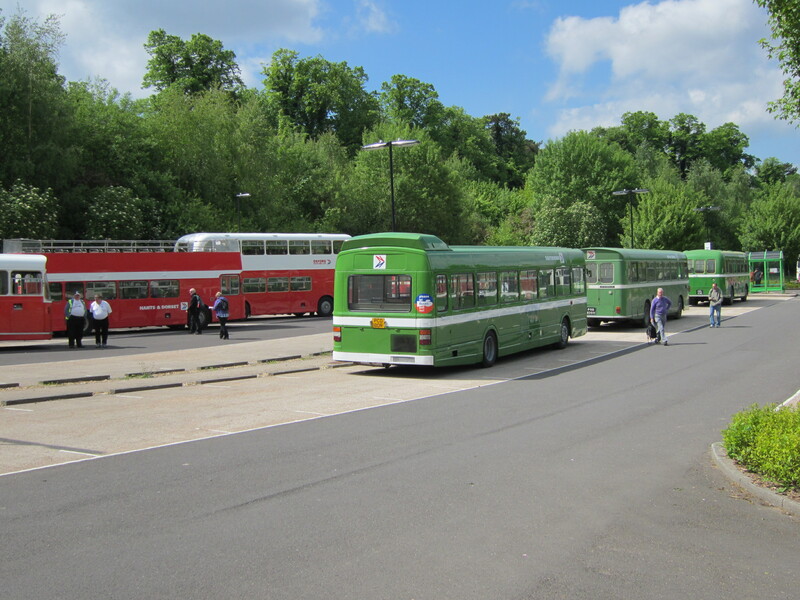 Anyway, a true bus enthusiast could ‘smell’ the difference between a Ribble Bristol VRT and a Cumberland one! 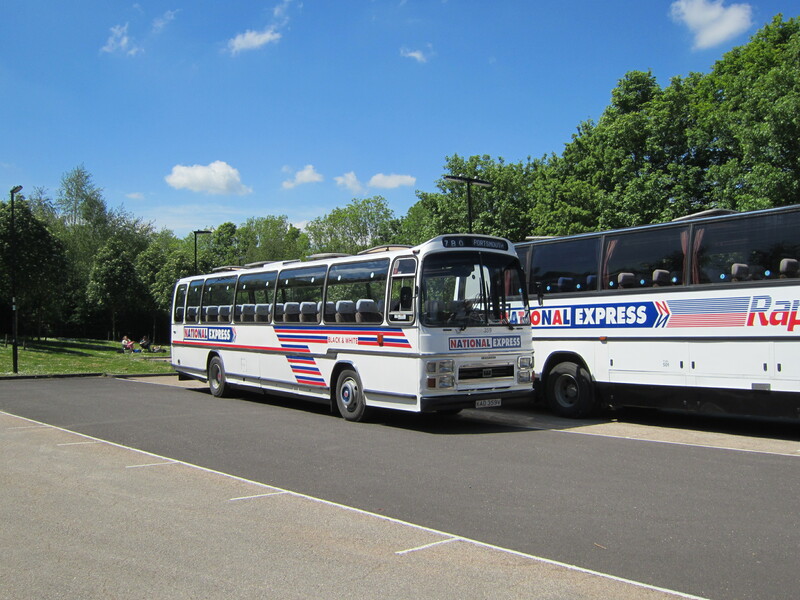 The all-over white livery of the coach fleet was gradually improved with the addition of red and blue ‘go faster’ stripes over the front wheel arches. For many observers though, the image was too unified and generally unloved and many welcomed the prospect of a return to the individual colours upon the sale of the component companies in the mid-eighties. This, however, was short lived as the new giants of the bus industry, Stagecoach, FirstBus and Arriva snapped up much of what was left in the wake of the NBC’s demise. One corporate image was replaced by three and somehow, to me at least, they have never looked the part. 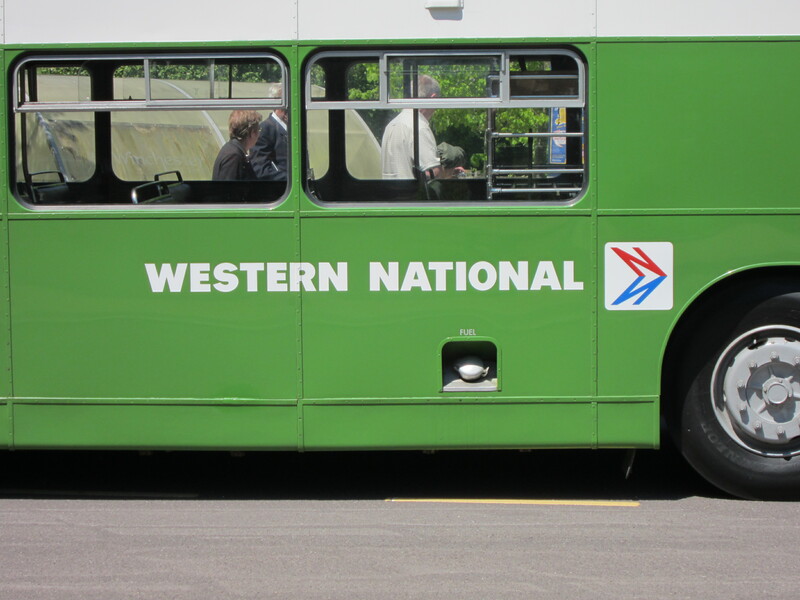 The NBC image, plain as it may have been, was at least applied traditionally and in traditional colours with the individual operators fleetnames retained. Call me old fashioned but buses in purple and pink, blue with orange swirls or in turquoise and beige just don’t look right to me. 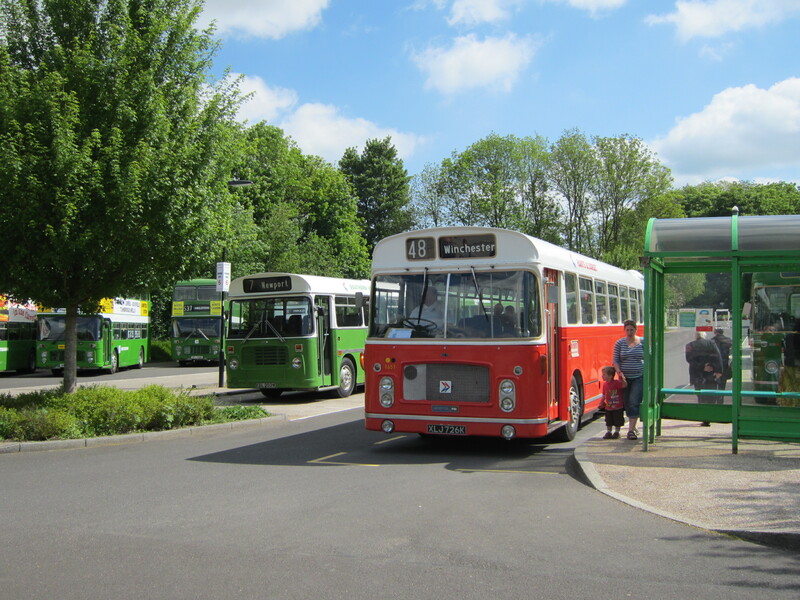 A Bristol VRT or Leyland National in leaf green or poppy red looked ready to take me anywhere and wherever it ended up, there would be another one to take me further, with maybe a white coach to take me further still. Bland? Maybe. Ubiquitous? Certainly. Neat, unified and practical? Most definitely. CRAWLEY TO BOURNEMOUTH IN SEVEN HOURS FOR LESS THAN THREE POUNDS.